Gambling in Norway was actually frowned upon right up until the 1950s, after the repressive 1940s post-war era. Even playing certain card games for real money was looked down upon. Today, there are some very strict controls in place to monitor both online and offline gambling activities and it is The Norwegian Gaming and Foundation Authority which is responsible for monitoring and regulating both the online and offline gambling industry. In 2015, there are just two state-controlled institutions which are legally permitted to offer real cash gambling services to Norwegian residents. These legal organisations include Norsk Rikstoto which monitors and regulates anything to do with betting on the horses (pari-mutuel betting) and Norsk Tipping which monitors and regulates anything do to with Totalizator, sportsbetting, instant win games and lotteries. Casino products are currently not offered by these two authorities and they are both EXEMPT from ALL taxations. In December 2008, the government imposed a ban on Norwegians being able to gamble at foreign-owned websites which operate from offshore locations. Many have likened this change to the current US online gambling laws. Basically, no financial institutions, specifically Norwegian banks, can process transactions between a Norwegian resident’s bank accounts and a foreign owned online gambling portal. The Norwegian government called this the Payment Act and it eventually came into effect in June 2010. To be involved in this is now classed as ‘accessory involvement’ in unlawful gambling. 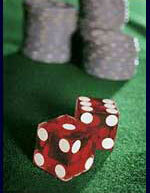 Although the act of gambling itself is NOT illegal, the processing of payments between the two parties is. The Norwegian government has also said that it will try to block foreign ISPs, but these actions have not yet been implemented. This means that foreign owned gambling portals, including online casinos, still remain widely available to Norwegian players. Most of these sites are perfectly secure, they accept Norwegian Krone (NOK) and they accept a wide range of reliable Norwegian online payment options. Many of these sites can even be displayed in Norsk. Today’s most secure Norwegian online casinos tend to be licensed either in Gibraltar (by the Government of Gibraltar), in Malta (by the Malta Gaming Authority – formerly the Lotteries & Gaming Authority of Malta), in Curacao (formerly Netherlands Antilles, by the Curacao Internet Gaming Association / CIGA), in the United Kingdom (by the UK Gambling Commission), in Kahnawake, Quebec, Canada (by the Kahnawake Gaming Commission), in Alderney (by the Alderney Gambling Control Commission), on The Isle of Man (by Gambling Supervision Commission), or in in Antigua and Barbuda (by the Directorate of Offshore Gaming). These perfectly secure online casinos are powered by some of the most advanced online casino software providers in the world and in most cases the telephone support is even toll-free for Norwegian players. If you visit our online casino review section you will find a great list of online casinos which currently welcome players from Norway. Gambling in Norway - Information about gambling in norway along with lottery and gaming legislation and information about slots as pertaining to the Lottery Act of 1995. Norsk Casino - Norwegian online gambling portal that provides information about Norway online casino websites along with other useful information to those looking to get started playing online.